This entry was posted in News on September 17, 2007 by Julie Thorsheim. This entry was posted in News and tagged get into their world on September 10, 2007 by Julie Thorsheim. What is the Kvebaek Sculpture Tool (or KST)? It is virtually the same instrument as the Kvebæk Family Sculpture Test (KFST). Click on Kvebæk Sculpture Technique to learn more. Before we began to make the KST Toolkit available to professionals in the English-speaking world, Julie Thorsheim, the founder of KST Associates, met with David Kvebæk, and he gave his stamp of approval to the modified design of the figurines that Thorsheim crafted in Minnesota. See the History section for the rest of the story about Kvebæk granting Thorsheim certification to instruct others in applications of the Kvebaek Family Sculpture Technique, to further develop this assessment, research and therapy instrument, and to make the Kvebaek Sculpture Toolkit (KST) available to practitioners and researchers. This entry was posted in News on August 22, 2007 by Julie Thorsheim. Many of you have come to the KST ASSOCIATES website for nearly a decade. We now announce this website, with a new look, and with possibilities for greater interaction with all of you out there! Over the years, we have had the privilege of providing high quality educational resources and equipment to professionals from California to Florida, from New York to British Columbia, Canada, and to researchers and practitioners in Australia and Hong Kong. 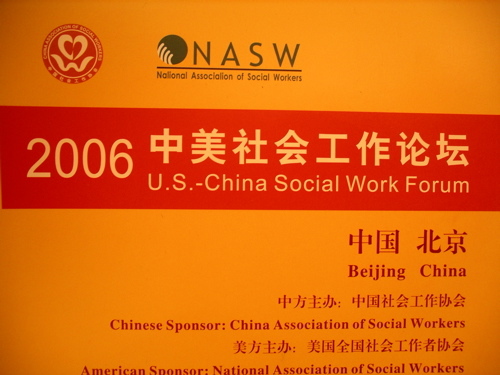 China: The founder of KST ASSOCIATES, Julie Thorsheim, MSW, DCSW, participated as a delegate to the U.S. – China Social Work conference in Beijing in 2006. 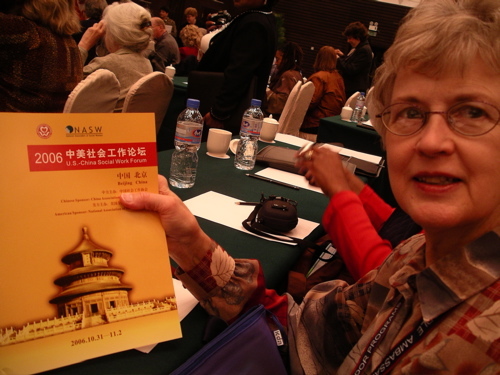 She made two presentations on the Kvebæk Sculpture Technique, one as a part of the official conference program and the second, to staff of Children’s Hope International, Beijing office, at the invitation of Social Worker, Jean Chen, and Director, Madam Wu. Another exciting international project that KST Associates is contributing to is in Tanzania. The organization is called Mwangaza Partnership for education, health, family and faith. (Mwangaza is the Kiswahili word for enlightenment.) Over the last two years, Julie Thorsheim has consulted with the founder of Mwangaza, Dr. Shoonie Hartwig, around ways that the Kvebæk figures could foster effective communication around sensitive issues and promote conflict resolution within the Tanzanian culture. Together they created scenarios related to stigma and abuse in the family, community, and church. Thorsheim suggested ways to graphically illustrate this, using the dolls and other objects, such as blocks and balance beam. KST ASSOCIATES donated an initial set of the KST figurines to Mwangaza Centre. 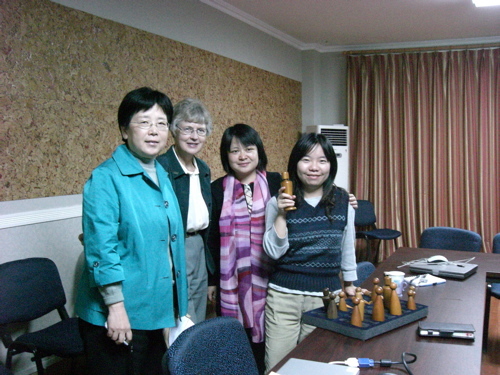 Community leaders experimented with using the genderless dolls – they call them “midollies” (little people)” — in their stories and role-plays. Thorsheim suggested they try out taking on the role — and the ‘voice’ — of a person of another gender or age, and worked with Hartwig to suggest various role-play possibilities. Tanzanian woman who are leaders in their communities together at the Mwangaza Centre in Arusha for a pilot project in Community Mediation. 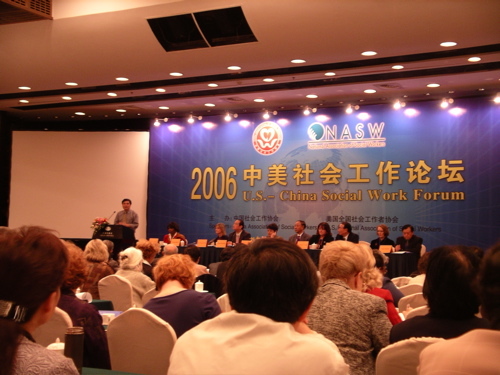 This initial project was accomplished in March 2007. Mwangaza director, Seelah Kissioki, describes the initial results of this pilot project in an article published in Mwangaza Reflections, Spring, 2007. A representational sculpturing seminar is scheduled for early October 2007 in Oslo, Norway. The focus is for this core group of clinicians, teachers and researchers from Scandinavia and the U.S. — all with long-standing experience in using the Kvebæk Sculpture Tool and derivative forms of sculpturing — to share their experiences and together consider the possibility of holding a major International Seminar on Representational Family Sculpture for Pedagogy, Research and Practice in 2009. This entry was posted in News on August 14, 2007 by Julie Thorsheim. Feedback on KST Clinical Training Seminar: Chief Psychologist, Dr. Wayne Ehrisman, wrote saying, “I wanted to let you know how much I enjoyed your presentation on the Kvebaek Family Sculpting Technique at the Southwest Mental Health Center … was very informative regarding the clinical and theoretical foundations of this technique, and your style of presentation and skillful use of case material provided clear illustrations regarding how it can be applied in clinical practice.” He called it “a breath of fresh air.” From his perspective as a professor in the Department of Psychiatry at The University of Texas Health Science Center at San Antonio, he noted the importance of renewing an emphasis on knowledge and training in family systems theory and therapy in current child training programs in departments of Psychology and Psychiatry. Educators in Schools of Nursing also have an interest in imparting family systems theory and practice to their advanced practice students. 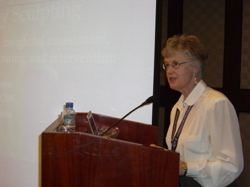 A search of the literature will discover articles related to both research and clinical practice in nursing journals. Julie Thorsheim, MSW, has been invited to provide an overview of the Kvebæk Family Sculpture Technique to a class in Advanced Practice Psychiatric/Mental Health Nursing at the University of Minnesota. If you are involved in educating our future doctors, nurses, family therapists, psychologists or social workers you may wish to consider including a greater emphasis on family systems in your curriculum. Even one class hour of focus on the Kvebæk Sculpture may provide a significant and engaging addition to the students’ professional education. To explore this further, click the Contact Us link. This entry was posted in News on August 7, 2007 by Julie Thorsheim.